When predictions of blizzards rolled into town, our parents and grandparents ran to the package store and grabbed a 30-pack of cheap lager cans (we used to call them “dad soda”) along with bread, milk, and eggs. These days, the Nor’easter stockpile options are a bit more refined, and many newer craft breweries produce darker, spicier beers for winter — complemented by older holiday mainstays like Sierra Nevada’s Celebration Ale, first brewed in 1981 and still selling strong. Some of the best-known winter craft offerings, like the Lagunitas strong ale Brown Shugga’, don’t need much introduction. 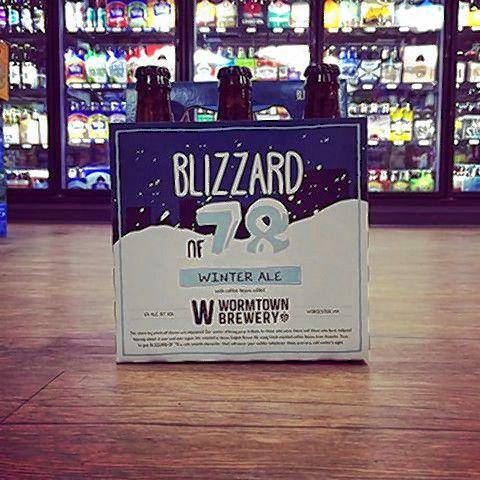 And New England has its local winter classics, from Berkshire Brewing Company’s Cabin Fever Ale to Harpoon Brewery’s Winter Warmer to Peak Organic’s Winter Session Ale. Sam Adams has made an enjoyable showing this year as well, with releases like the spiced wheat ale called White Christmas. But let’s duck a little further under the radar to check out eight of the Beerhunter’s favorite holiday ales. I’m generally as optimistic about winter-holiday beers as I am pessimistic about pumpkin-spiced autumn beers (I guess October just isn’t my month), and luckily my haul this year yielded only two misfires. Harpoon’s UFO Winter Blonde, which is a golden-colored vanilla coffee ale, reminded me of a shot of vanilla syrup in a coffee-chain latte — not good. And Goose Island’s Festivity Ale was too festive for my tastes, overloaded with cherry notes, caramel thickness, and dark malt sugars to the point of imitating a fruitcake. No thanks. This bold, dark-roasted beer is probably the best thing to come out of that catastrophic February storm four decades ago, which dropped 27 inches of snow on Boston and did almost $2 billion worth of damage throughout the Northeast (adjusted for inflation). Wormtown has paid tribute to those harrowing three days by crafting a thick, warming beer you can nurse while you share a wild winter yarn of your own — made with fresh-roasted coffee beans from Acoustic Java in Worcester. 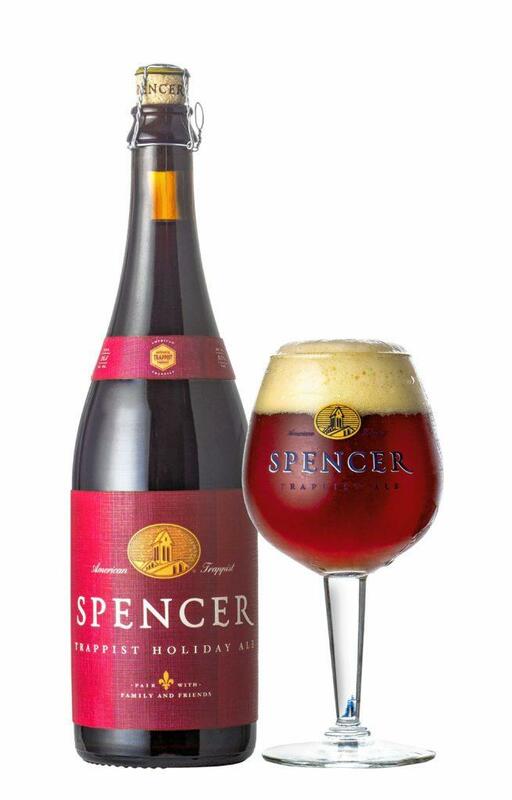 The Trappist monks at Spencer Abbey put a lot of care into this Belgian-style strong dark ale, and it shows. This lightly spiced, copper-colored accomplishment is a bit more fragrant than its dark-malty counterparts on this list — it evokes a dash of brown sugar, and a sprinkle of cinnamon, nutmeg, and clove — but for fans of Belgian beers, this is a super local offering you can’t catch year-round. Perfect for low-key house parties and early nights at the fireplace. Regular readers of this column know that I don’t typically skew sugary, but for whatever reason, ABC’s winter spiced ale just works, so it takes this list’s honorary sweet slot. This smooth, dark-gold concoction is essentially gingerbread in a glass, but it doesn’t carry that acrid or bitter aftertaste that follows a lot of flavored beers. If you’re in the mood, this is one of the more enjoyable ways to get that holiday spice experience while drinking local. Rocky Mountain craft beer drinkers know how to tuck in and weather the coldest months, and I can see how this monstrously strong English-style old ale would help. This mean, malty brew has a robust grip on its sharply sweet legacy as GDBC’s flagship winter ale since 1995. It’s an old classic, in other words, which is probably why it takes itself too seriously (suggested pairings, according to the label, include apple crisp with ginger ice cream and aged hard Dutch cow’s milk cheese, in case you have any on hand). But this rich, dry-hopped heartwarmer still has good reason, in its third decade, to stay on shelves. The thick, dark brown color of this seasonal beer makes it look like a porter, and the roasty-toasty first sip may convince you that it is. But this rich, dark ale gets a bit sweeter and spicier as you continue to sample it. It has the slow, hearty warmth of a classic English-style strong ale, but the addition of spices and cocoa nibs — plus a malt blend that utilizes chocolate and de-bittered black malts — really set it apart. There’s nothing complicated about this well-balanced double American amber. Rather than spicing it up with seasonal ingredients, this one earns its cold-weather cred simply on the strength of its robust taste: a little sweet, a little bitey, and super rich and malty. 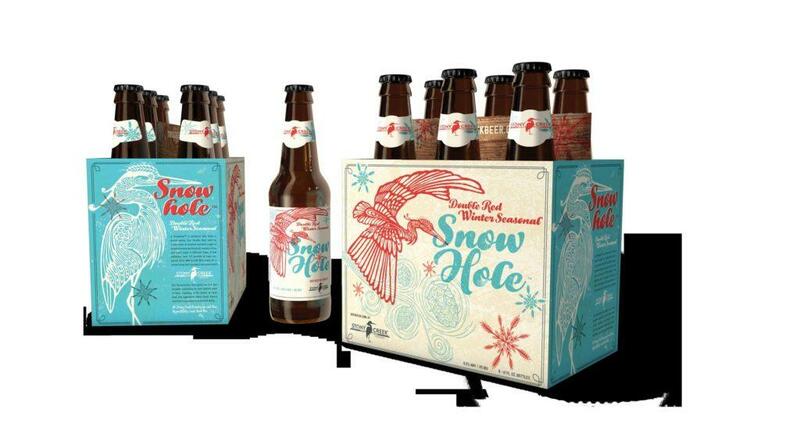 “Snow hole,” apparently, is a nickname for someone who loves a brutal winter, and this muscular brew proves a good one to hunker down with. This is the one you want to pack deep in your backpack and pull out midway through a snowshoeing trek or down a long, forested ski trail (after all, the winking quotation marks in this beer’s name are intentional). This hoppy brown ale hits most of the bitter piney notes that IPA hopheads love, but it also toes the line when it comes to toasted malt and a darker, full-bodied profile. Not many other brews can match this blend of warming and refreshing, but “Sick Day” makes it look easy. San Diego homebrewer Chris Banker won Stone’s 2014 homebrew contest with this recipe, which pays homage to Mexican hot chocolate. Since then, Stone has turned Xocoveza into a seasonal cult classic — demanded nonstop by fans on social media — by combining cocoa, milk sugar, vanilla, cinnamon, nutmeg, pasilla peppers, and fair-trade Mostra Coffee from San Diego. Pronounced “sho-co-vay-za” — which craft brewing’s pidgin tongue would translate (very) roughly from Spanish as “chocolate beer” — this incredibly smooth and creamy stout is semisweet, a little spicy, and wicked roasty. Crack this one open on the coldest, darkest winter night — or, if you’re ambitious, store it at cellar temperature and drink it at the end of 2017, or beyond. Word on the street is that this one ages well.